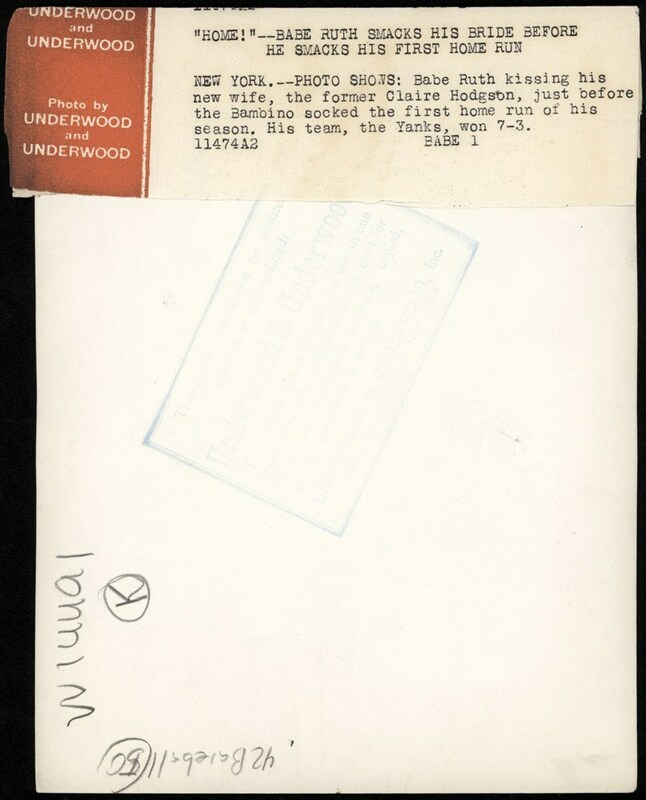 This fascinating Underwood & Underwood PSA Type 1 photo portrays Ruth kissing Helen the day after they were married, and directly before opening day at Yankee Stadium on April 18th! The image itself depicts remarkable contrast and clarity, relatively clean white borders and no glaring surface flaws, whatsoever. 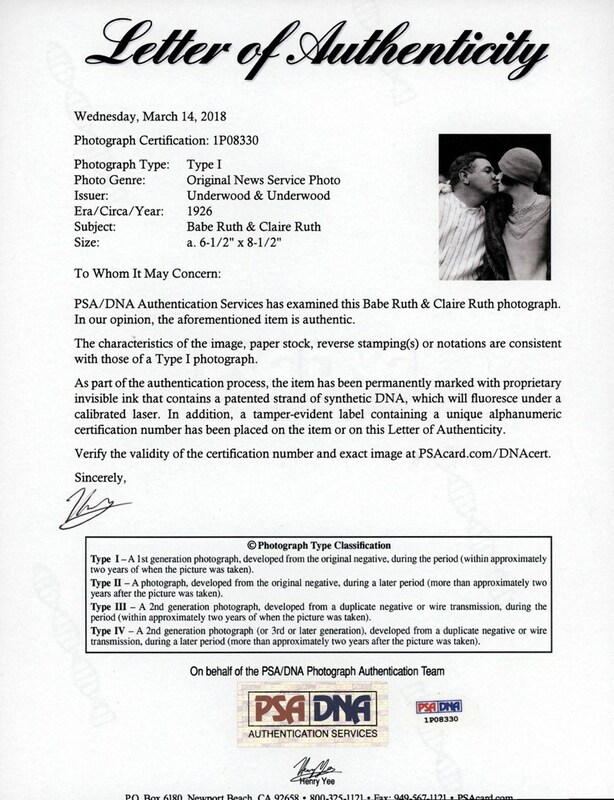 Simply stated, we cannot detect any obtrusive blemishes worthy of mention, with the verso revealing a detailed caption of Ruth's new bride and the opening day results (fittingly titled: "BABE SMACKS HIS BRIDE BEFORE HE SMACKS HIS FIRST HOME RUN"), as well as the significant Underwood & Underwood credit stamp.